Warm up your complexion and step straight into Summer with the Elizabeth Arden Bronzer and Highlighter. 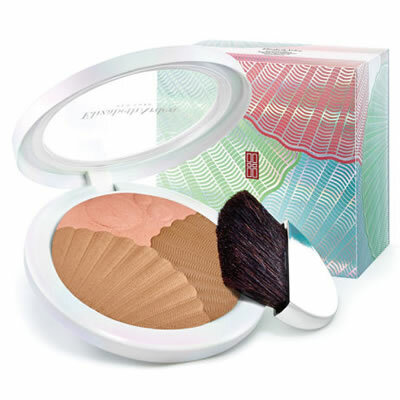 This unique shell-shaped powder offers two-in-one benefits, with two shades of bronzer to contour the face and a highlighter to illuminate your best areas. The embossed powder benefits from microlight minerals to diffuse natural light, vitamin E and argan oil to nourish and protect the skin and a super silky formula for easy application.